The manager rankings include every OIL manager. We may be three conferences, but we are one league. For a quick overview, view the embedded OIL Managers spreadsheet below. To view the detailed spreadsheet for each manager, click on the names in the Manager column. 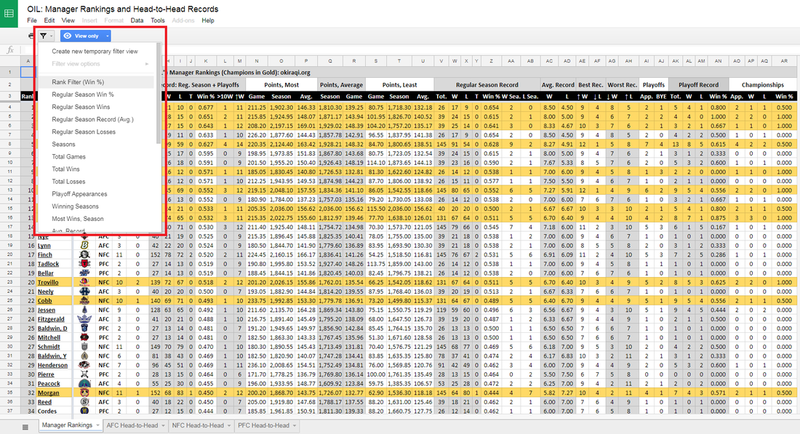 To sort by stat category, click here to access the full document on Google Sheets. On the bottom left, you can toggle between overall manager rankings (which you can sort by wins, losses, ties, winning percentage, winning seasons, 10-win seasons, playoff appearances, championship game appearances, and championships) and head-to-head records for each conference. 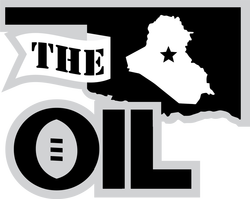 View all-time and year-by-year OIL player stats here. If wish to sort by stat category, click the sortable version and follow the below instructions.